Our experienced and talented technicians allow us to manufacture & export Hockey Goal Post. 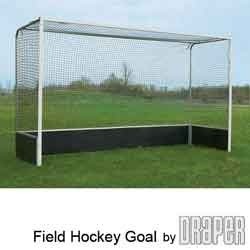 This goal post is manufactured using high grade metal and is appreciated for its durability and great results. It is available in different specifications and can be customized as per the requirements of the clients. Further, we also ensure that our range is high on quality and durability. Looking for Hockey Goal Post ?